It’s been a rough couple of weeks around here, which is why I haven’t had time to write a new post in a while. We have had a number of respites coming and going, and we are exhausted from the constant activity! Unfortunately, we had one particular child who was just not a good fit for our family. This child needs the care of a family who only has one child or no children. Some kids are like that, and that’s okay. But in this home, where there are often five children vying for my attention, I just cannot possibly single out one child for several hours a day. I strive to have one-on-one with each child, but a high-needs child needs a lot more than that. I have to be honest with you, since that’s what I strive to do on this blog. Foster care is messy. These kids are broken. They have no boundaries. They have no control over their emotions. They act out. They break things (on accident or on purpose). When you’re dealing with a toddler, you can more easily forgive these things as most toddlers need constant watching. But when they are five, six, seven years old, it’s easy to forget that they are like infants in many ways. They have never been taught that crying is not the only way to get attention or to have their needs met. They don’t understand what you mean when you tell them they can’t have something. Many of them don’t realize that they are constantly putting themselves in danger because they aren’t following basic rules (don’t run into the street; don’t put things into the light socket; don’t pull the dog’s tail). Perhaps one of the scariest factors about foster children is that they don’t know not to talk to strangers or to walk off with them. How could they possibly know this when strangers came to their home and took them away from their biological family, only to place them in the home of some other strangers, who want to be Mom and Dad? Often, they are put into an emergency home until a long-term placement can be found. So once they begin feeling comfortable with the first set of strangers, they are taken to another home of strangers, who want to be Mom and Dad. 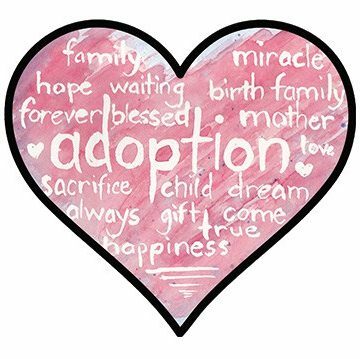 Then, they eventually may be up for adoption, where they will meet more strangers, who also want to be Mom and Dad. They are told to go with strangers (their caseworkers) for visits with their family. And each time they meet a stranger, they wonder if they should call them Mom and Dad, too. I battled with guilt over the past couple of weeks because we were struggling as a family with one particular placement. To say that we were over the whining and crying would be an understatement. But this child was hurting, so we did our best to love the child, despite the behavior. But at the end of the day, we just had to realize that our home was not the home for this child. And guess what I learned? You see, I’ve been wrestling with God because there are so many–so very many–children in need of a safe home and a loving family. We need a bigger house for our own family of five, and we are stretched to the limits when we have foster children here. But we want them all. We want to help every single one of them, and we can’t. The only One who is capable of caring for these children is God. They are His, and He wants us to love them well and to know when He is telling us that we need to let a child go. That’s the hard part–saying goodbye. They cry when they leave, and so do we. But God is there with them, and He has a better plan for them than I could ever imagine! We are only emergency and respite foster parents right now, so we expect the children to come and go from our home. They come here to be calmed and loved, and then they go to a long-term placement. Or they come here to give their foster family a break. They are ours for just a short while, and then they are gone, and we may never see them again. Foster care is ugly. It comes from a place of brokenness and loss. It is a reminder of the deep-rooted sin that has taken over our world. And it’s a bunch of sinful people who are trying to help as well. It’s just a mess. But God has a plan, and He wants His people to be a part of the plan. He wants us to love the fatherless well. If you are a foster parent, I want to tell you that it’s okay if every child that comes to your home is not a perfect fit. It’s okay if your family needs a break. It’s okay to say no to every placement. God wants you to keep on serving Him in love, and He will take care of the rest. If you aren’t participating in some way in orphan care, why not? The child who wasn’t a good fit for our family may be just the one that God has for you. Each family is unique, and each child is unique, and God wants to fit the two together! There are so many children hurting and in need. They need you to step up and take their hand. They aren’t a number. They have a name. And some day, Jesus may ask you why you didn’t help “John Smith” or “Jane Doe” when He asked you to. What will your answer be?